If you walk into any breakfast aisle, health food store, or bulk food section what do you find? If you answered granola (I think I gave it away already...oops) you would be correct! But what is one major complaint about granola though? Well if you answered, its EXPENSIVE...well than you are on a roll, tell'um what they won Johnny! But another complaint is they are all a little deceiving. We all think granola and we usually think healthy right, you would be incorrect. 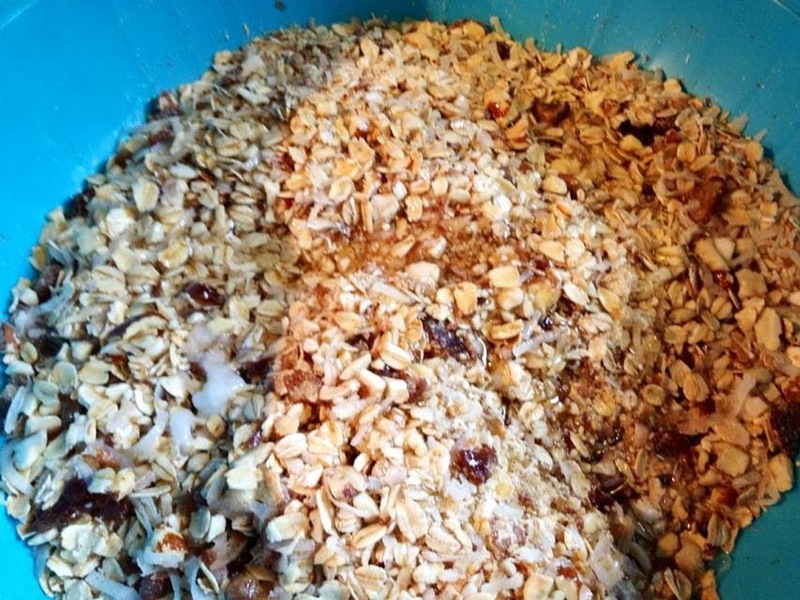 Well if you have been fooled before, you know not all granola's are created equal. They are either too much sugar and/or salt, not enough fiber, contain animal based add ins, no real vitamins, and lastly and my most important...they don't give you much for the cost. If I want to buy this stuff, I want a good amount but most cases you don't get all the much needed wants in your store bought granola. Why not make your own? Its not hard at all and that way you can control everything you want in your granola, customize it, and get a big amount. This recipe shows you how to simply make your own customizeable granola. 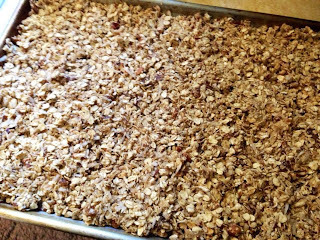 Whether you want the vitamins, high protein, low sugar, high fiber, and/or low in calories you are going to get it in this granola. 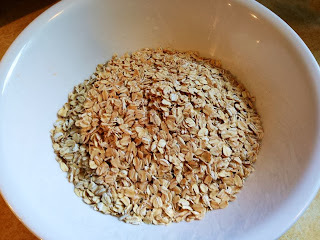 Packed full of everything you are looking for in a great granola but without that pricey store bought tag and enough to last. You are sure to never want to buy it again. 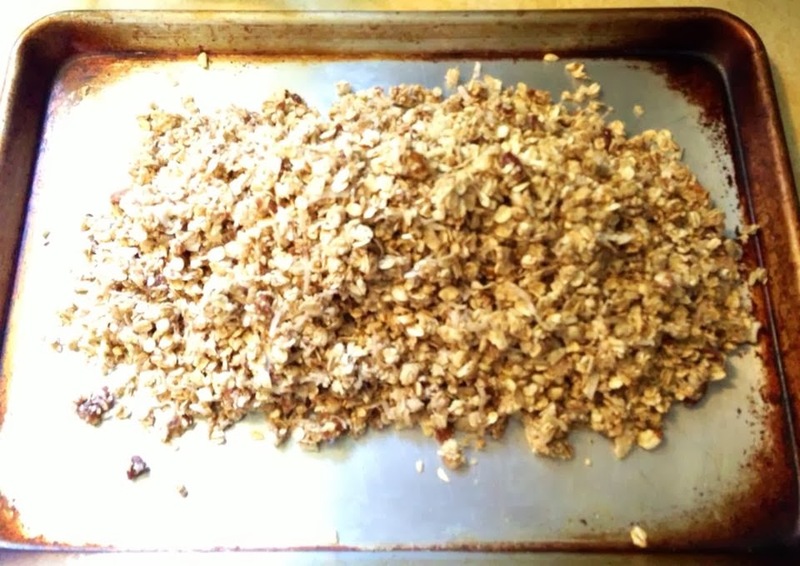 Serve this granola however you like, perfect by itself or put over vegan yogurt. Pairs great with fresh fruit and makes a great gift for someone you love. Anyway you decide to make it or use it, you will feel a lot better about making it rather than buying it ever again. Enjoy! 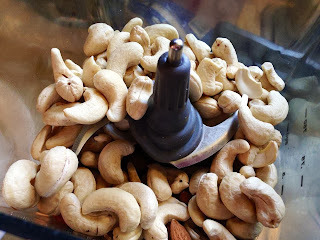 In a food processor, pulse to chunk your 2 cups of nuts (I used cashews & almonds) down to desired texture. 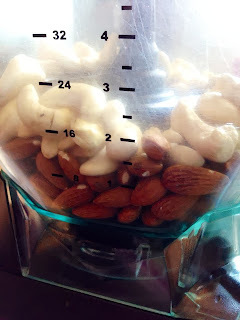 Once your nuts are processed, remove from machine and add in whole dates to process as well. *If you do not want to process the ingredients, you can buy sliced nuts and minced dried dates from the store. 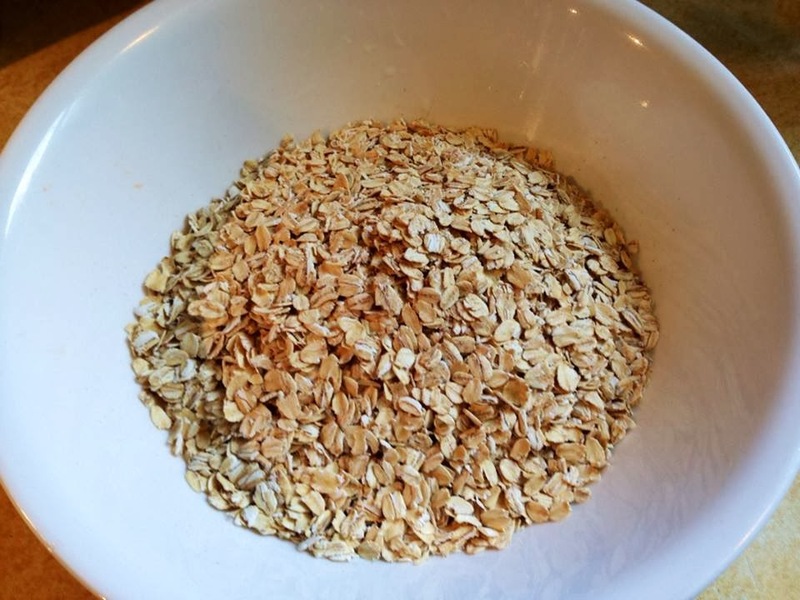 In a large bowl, put in the oats. 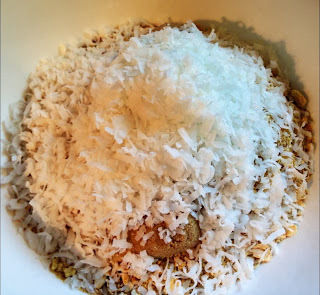 Then put in your remaining dry ingredients, including the nuts and dates. Once everything is Combine in a large bowl; toss to combine. Then add in your wet ingredients like the oil, vanilla, and liquid sweeteners. 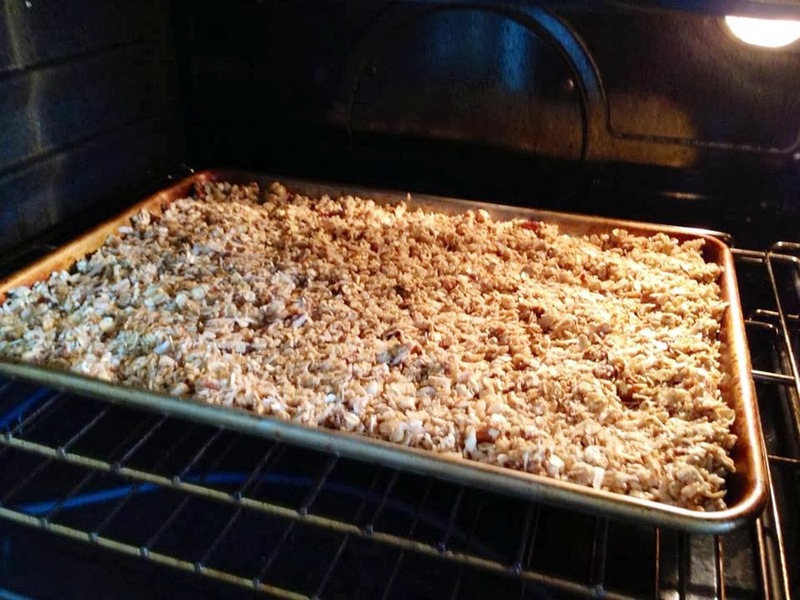 Once every piece has been tossed and coated, spread out on a rimmed baking sheet evenly. 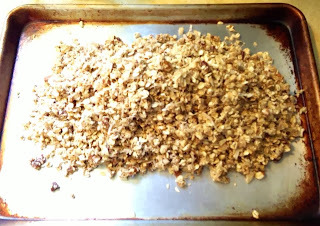 Bake granola, stirring every 10 minutes, until golden brown and dry, 40 to 45 minutes. You will be able to smell its sweet aroma, you don't want to smell burnt. Your nose tells you a lot in this situation. 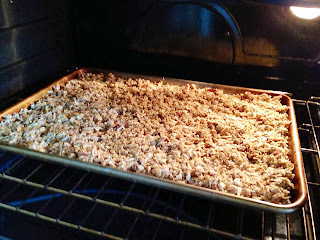 When its done, remove from the oven and let cool on baking sheet (it will crisp as it cools). Once its cooled and crisp, you can mix in 1 cup dried cherries, raisins, and/or cranberries. 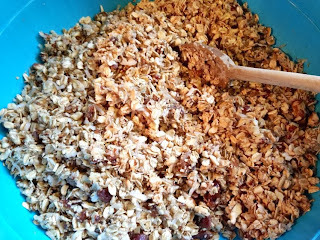 You can also add in vegan chocolate chips or anything else you would enjoy in this granola. Store in an airtight at room temperature. 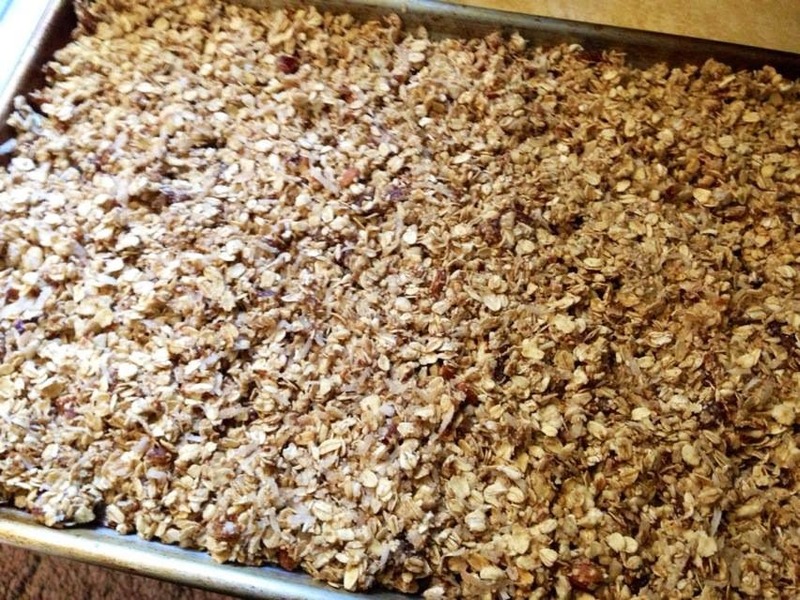 Serve the granola by itself of for a protein boost, serve over vegan yogurt. Pairs with plenty of fruits and great as a in between snack. You can't go wrong with this sweet and crunchy treat. Enjoy! Whether you like a little or a lot, we love to have dressing. These quick and easy sauces that you can make with just a few ingredients for your favorite recipes. This recipe shows you how to make a classic dressing that we all know and love, now vegan. Serves as a spread on our favorites like vegan reubens, burgers, sandwiches, and/or salads. Great made ahead of time for parties, BBQ's, or even for a family night in. Remember to make enough for everyone, you can double or even triple the recipe for when you need it. 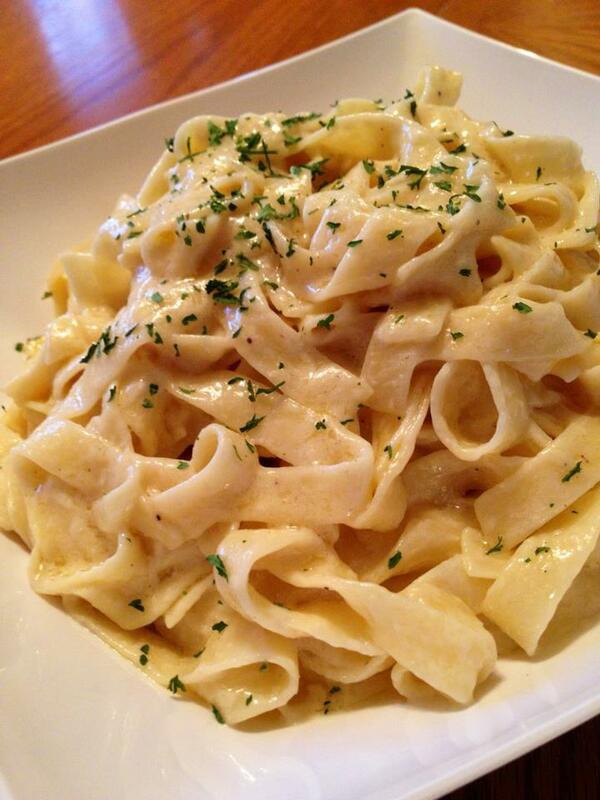 You don't have to be a vegan to love this sauce, just don't forget extra napkins...this could get messy! Enjoy! In a food processor fitted with a steel blade, add in all your ingredients for the dressing list above. Whether your Irish or not, we all know what corned beef and cabbage is. This recognizable recipe with its own unique smell and tasty makes you think of the timely festivities. With its hearty veggies and traditional meat, it sure makes you crave some green beer to go along side. This recipe shows you how to make that traditional March time meal that makes us think more green...and I don't mean environmentally green folks. This dish is a one pot meal that will leave you with plenty of leftovers and ideas for the remaining vegan corned beef. You won't know where to stop with the recipe ideas to come. Serve along side the veggies and/or your favorite sides. Pair with an adult beverage or just on its own, you will sure to be saying "top of the morning to ya" anytime of day. Enjoy! In a Kitchen-Aid Mixture fitted with a bread dough hook, combine all the Ingredients for the seitan corned beef (vital gluten) and mix well lightly for 1 to 2 minutes until combined. After the light mixing, add in the vital gluten. Knead the dough lightly until everything is combined and the dough feels elastic (scrap down and around as needed). This could take up to 5 minutes and you may need to add a little more wheat gluten until it gets to the right consistency. Once the dough is done, remove and roll into a medium sized log. Wrap the seitan log tin foil to keep its shape. You can let it rest and wait or mold and then place the cheese cloth. Secure the cloth tight by rolling each end, tightening together, and cinching it tightly at the bottom to secure the log completely. This doesn't have to be perfect, just secured in the cheesecloth. In a large pot along with enough water to completely cover the corned beef, add the pickling seasoning, bouillon, and chunked onions & garlic. When the brined liquid is combined, add in the wrapped corned beef seitan. Cover and set over high heat. Bring to a boil, decrease the heat to medium to medium-low and cook, at a simmer for 1 to hours, or until the the setian is firm to the touch and dense. Once the corned beef is firm you can remove it from the brined liquid. Let the seitan sit aside until ready to use. At this point you will have the extra liquid. With extra cheese cloth or a wire strainer, strain out the pickling spice and onions until the brine has been cleared. When the liquid is ready, add the cabbage, carrots, onions, potatoes, apples, and celery. Return to a simmer and cook uncovered for 25 to 35 minutes, until the veggies are tender. Once cooked, remove from the heat. To serve, remove cheese cloth away from the vegan corned beef and slice to desired thickness. Serve the vegan corned beef along side the veggies and/or your favorite sides. Store it in the refrigerator or freeze and defrost for later use. Pairs nicely on the holidays or Sunday dinner with your favorite adult beverage or sliced later and put on a sandwiches. Enjoy! 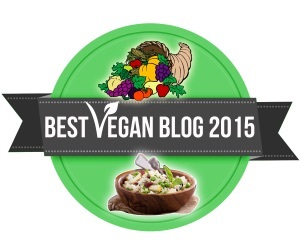 The Comforting Vegan has entered into a wonderful Contest! 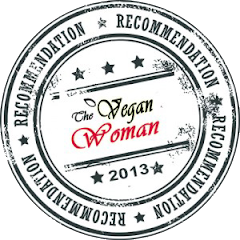 The great brand/product Vegan Gourmet has this contest underway and the recipe that I picked is one of the best and my Blogs top fav. 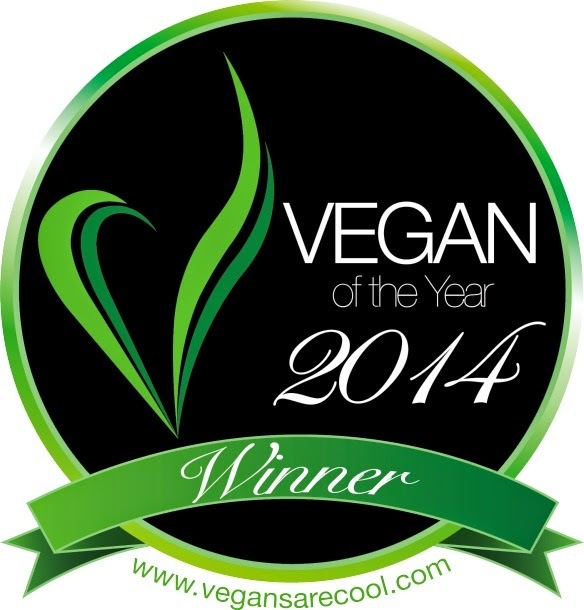 I hope you will all check out the contest and VOTE for The Comforting Vegan's recipe!! Baked Beans and summertime go hand and hand, making a perfect pair. But when I see Boston, I immediately think of baked beans. This delish side dish can make a meal feel complete and if you have ever been to Boston you know they are famous for their food as well as their history. These ingredients are simple but when combined, turn into a DELISH dish! This recipe shows you how to make a traditionally rich and perfect baked bean that Boston originated, plus they are vegan. These beans continue to stew away during the day and filling your house with a mouth watering aroma that any Boston native or family member will love. Great for any picnic, BBQ, party, or family night, you can't go wrong. You will have your family and friends asking for seconds and thirds, as well as the recipe. Perfect paired with your favorite main dishes as well as a great late night snack...yeah I all know you do it too. Serve hot or enjoy cold with your best Boston accent. And we won't tell if you sneak tastes out of the pot here and there but make sure you leave enough for the family! Enjoy! Place the beans in a colander and rinse dried beans to remove any yucky bits. Once rinsed, place in a large bowl or measuring cup and cover with cold water. Add in 1/2 teaspoon Baking Soda and 1/2 teaspoon salt and cover with plastic wrap. *The baking soda and salt help break down the beans and make them tender. You can leave it out if you prefer. Let soak overnight. Once they have sat overnight, drain and rinse the beans again. Place the beans in large pot with 2 quarts of water. Bring to a boil, then lower the heat and simmer for about 40 to 50 minutes, or until tender. During the boiling process you may get foam on top of the water, spoon off as needed. Once beans are cooked, drain the beans and set aside until ready to use. *You can make these in a traditional Boston bean pot or you can make them in a slow cooker. Both are great. If you don't have either, use a casserole dish and place in oven until tender. Transfer the beans to your slow cooker or a bean pot and add onions on top. Place all the remaining ingredients into the slow cooker over the beans, mix to combine all the ingredients together. Place the lid on top and cook on high (slow cooker) until beans are tender, about 2 to 3 hours. Check on the beans occasionally and give them a stir once and a while. If you like, you can remove the lid for the last 60 minutes while remaining on high, this will help thicken the sauce. Once cooked to desired texture, turn off heat and serve hot with your favorite BBQ main dishes.